Comparing our two Riesling Turckheim and Gueberschwihr always demonstrate that even at ‘village’ level, the origin can influence strongly the wines. Gueberschwihr is a much cooler, less precocious area, with much richer and deeper soils. Riesling grapes grow and mature slower in Gueberschwihr and, although the acidity level is the same, it always feels stricter and leaner than the Turckheim. The 2007 was harvested very healthy and with excellent ripeness, allowing a steady fermentation and an almost bone dry structure. Everything went perfectly well in this vineyard, but back in July 2007, we really feared for massive mildew attacks, as the vineyards that go into this wine are located on rich mid-slope areas, capable of retaining humidity and heat, which are the two components necessary for this disease to develop. I know that most bottles will be drunk at young age, but this wine will age very nicely and should develop into a very aromatic mineral style after 6/8 years. 12/2008: classic mineral nose, with some hints of almond, peach fruits. 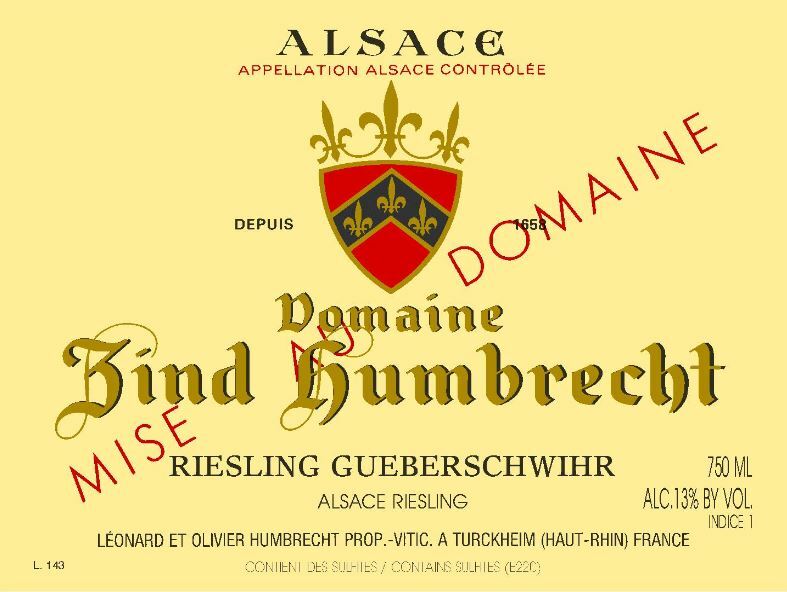 The palate is actually quite open for Gueberschwihr and exhibit an attractive ‘juicy’ acidity. Each sip of this wine leads to another one… It finishes dry with a mineral after taste.